Rest in peace, YouTube. 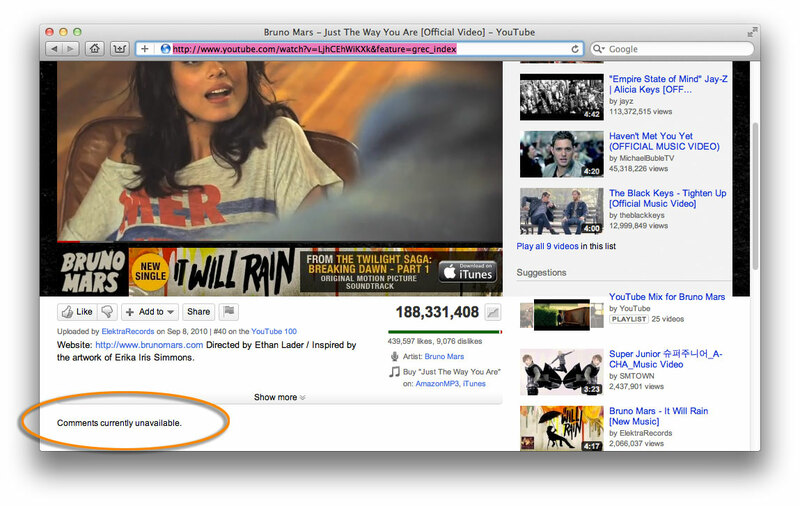 Or that’s what we would say, if YouTube wasn’t ping-ponging back and forth between usable and downright inaccessible. 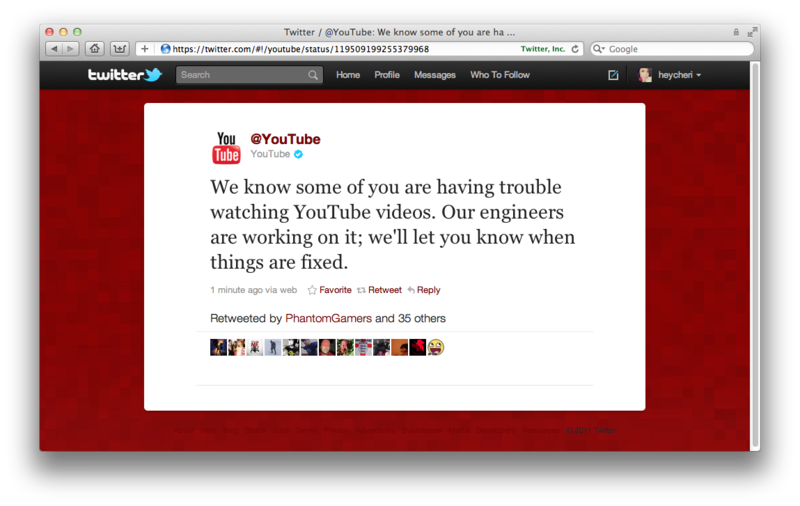 At the time of this posting, YouTube has been experiencing issues for over 15 minutes from what we’ve noticed, denying several users access since the service disruption. 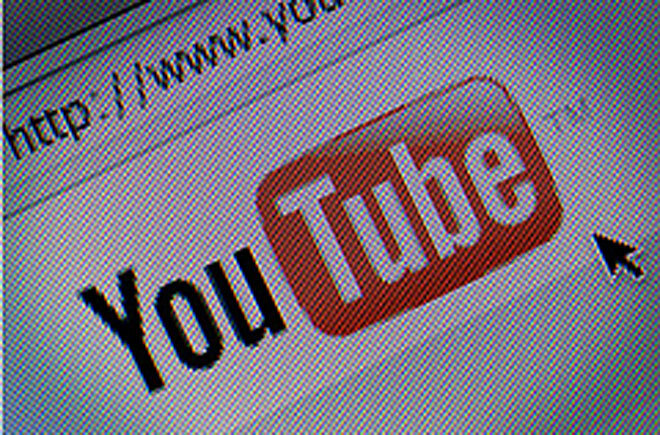 For a social platform as large as YouTube, we’re curious to see whether this will greatly affect Partners and active YT consumers, or whether this is simply an excusable hiccup. In a comment on Google+, one reader revealed that although he’s been seeing several users reporting the error, he’s had no problems accessing the service. Another source has also pinged me to confirm this statement, which leads us to believe the issue has only managed to affect some users rather than all consumers on YouTube. Though videos now appear to be functioning just fine, comments are still down across the platform. Other currently known issues: The subscribe button is also unavailable, while users are experiencing problems viewing their actual subscriptions on the YouTube homepage. We will, of course, keep you updated as things continue to progress. For the rest of you antsy folk who simply cannot wait for YouTube to resume normal function, sit tight and sound off in the comments.